Define your sound with our flagship DJ software – four decks and a stunning range of creative features for maximum freedom in mixing. TRAKTOR is the pro platform that top DJs trust, and TRAKTOR PRO 2 with Remix Deck™ technology is the most advanced version of TRAKTOR ever. Perform your mix on up to four decks, featuring TruWave colored waveforms, powerful looping and cueing functionality and an exceptional effects suite. 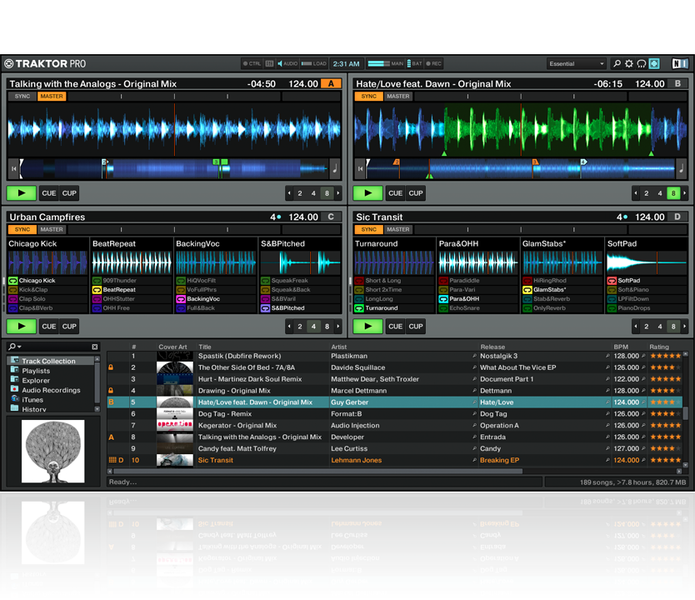 TRAKTOR PRO 2’s groundbreaking new Remix Decks allow for spectacular live remixing and re-arranging of tracks. Start jamming with the powerful loop suite and included TRAKTOR loop content. Each of the 64 slots can hold a loop or one-shot sample – load sounds from your hard drive or by capturing loops live from your DJ set. Save them as Remix Sets and build up your own loop library - the potential for rocking completely unique live performances is endless. Find out how and why the Remix Decks can help elevate your DJ set. These tutorial videos take you step by step from basic to advanced techniques, from preparation to performance. Essential viewing! Crate Flick cover art browsing and full iTunes® and iPod® integration makes finding the right track effortless. TRAKTOR’s acclaimed sync concept and beat grid feature ensures that your tunes beat-match perfectly. Load any track and TRAKTOR will analyze and ‘beat-grid’ it automatically - no matter what the genre is - leaving you to focus on the more exciting performance aspects of DJing. TRAKTOR PRO 2’s built-in mixer integrates multiple EQ and filter types, giving you full control of the frequency spectrum. Experience a new creative high with TRAKTOR Remix Sets, in collaboration with our partners Beatport and Whatpeopleplay.com. and more. Or dive into the wide range offree Remix Sets, with sounds from the most successful MASCHINE Expansions, a selection of cutting-edge genre packs, and more. Ready for immediate use with TRAKTOR’s Remix Decks and TRAKTOR KONTROL F1, these all-in-one packs give you top tracks by renowned artists, split up into loops and one-shot samples. 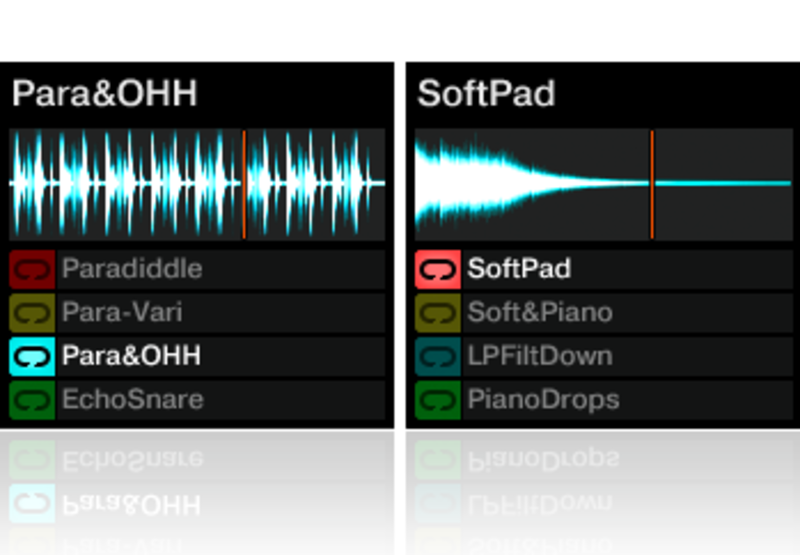 Recreate tracks live, make on-the-fly remixes, or remodel them into something completely your own. 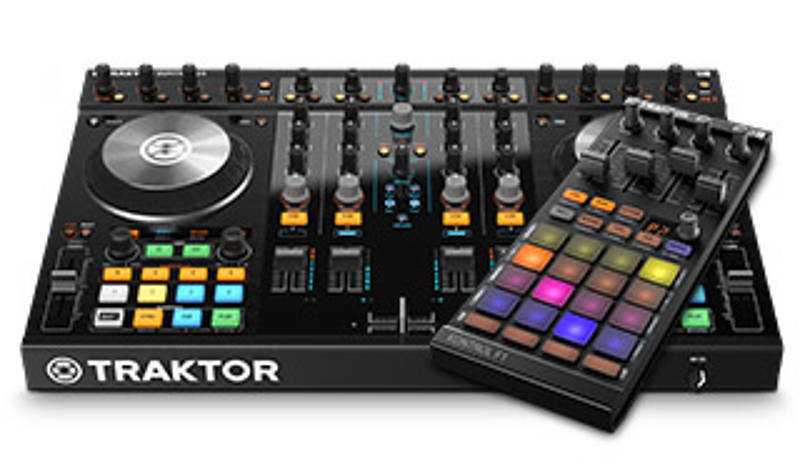 TRAKTOR offers total flexibility: Whatever your personal style or needs, there is the ultimate TRAKTOR set up for you. BothTRAKTOR KONTROL S2 andTRAKTOR KONTROL S4 provide an all-in-one, professional package for DJs of all levels and genres, with no extra DJ gear required. Use TRAKTOR with an external hardware mixer, and theTRAKTOR KONTROL X1 can handle transport functions plus looping, hot cues and effects. For the ultimate creative boost,TRAKTOR KONTROL F1 provides intuitive control over TRAKTOR’s Remix Decks. Beatmakers and producers can even expand TRAKTOR with the groove production studioMASCHINE. Tempo sync is automatic, and TRAKTOR's Auto Detection makes connecting and disconnecting NI hardware easy – even while your tracks playing. TRAKTOR KONTROL S4 - performance DJ system. TRAKTOR KONTROL S2 - 2.1 channel performance DJ system. TRAKTOR KONTROL F1 - The definitive hardware for controlling the brandnew powerful Remix Decks™ in TRAKTOR PRO 2.5. TRAKTOR KONTROL X1 - plug & play control over TRAKTOR's cueing, looping and effects. MASCHINE - this Groove Production Studio can be synced with TRAKTOR, or used as a controller. This first phase of Connect and Sync allows you to seamlessly syncs track meta data from TRAKTOR PRO to TRAKTOR DJ and back including all BPM, beat grid and cue point information. TRAKTOR 2.6.1 lets you rock the club with TRAKTOR PRO using the tracks you prepared on your iPad. TRAKTOR DJ’s advanced Key Detection shows you songs that match the key of your current track for effortless, super-smooth mixes. New Downbeat Detection lets you mix in perfect sync every time. If you have trouble using the new Macro FX or mapping the new Flux Mode, see this knowledge base article for in-depth instructions. TRAKTOR PRO 2 and TRAKTOR SCRATCH PRO 2 users can access a wealth of top quality loops and one-shots for use with the Remix Decks. Renowned artists have provided inspiring material in a number of genres, including Remix Sets prepared by Pan-Pot, Stewart Walker, and Marc Houle, among others. In all 1.6 GB of content is available – and all for free! 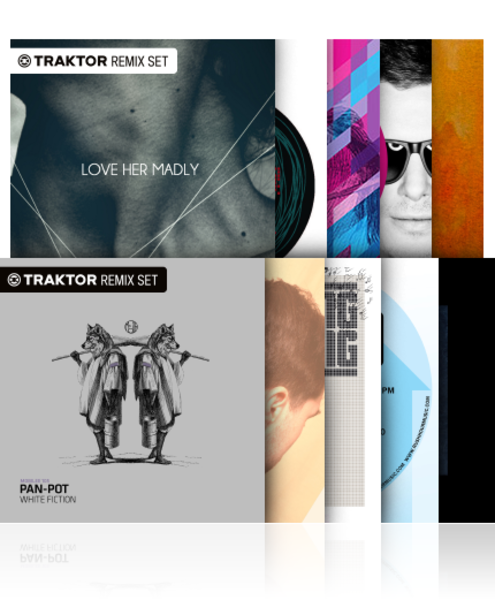 As soon as you’ve registered the TRAKTOR PRO 2 software, you can download the Remix Sets. Currently using TRAKTOR DUO 2 or TRAKTOR SCRATCH DUO 2? You can upgrade for free to TRAKTOR PRO 2. Check your NI user account email address; we sent you an email around April 1st, 2012 with the details. Once you're using TRAKTOR PRO 2, you are entitled to a free update to TRAKTOR PRO 2.5 with Remix Decks, available via NI Service Center. 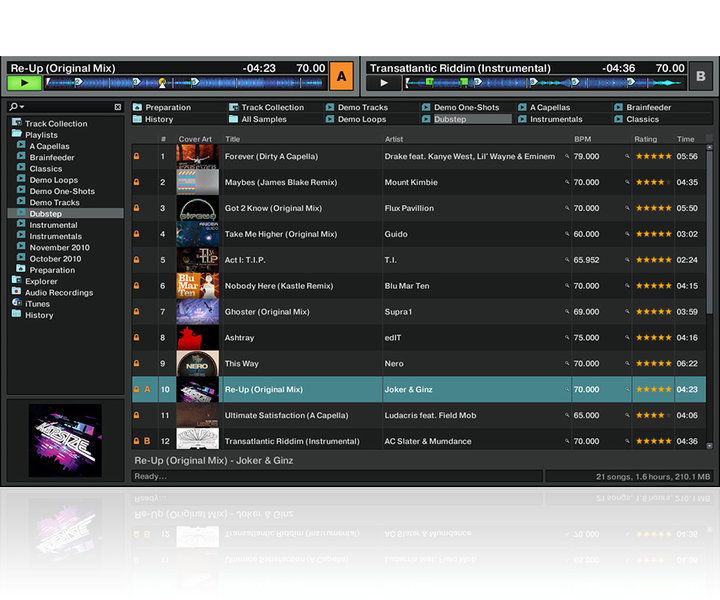 This gives you a whole batch of amazing new features to play with - on top of the new Remix Decks! See above for more details.